How do I change my FreeCCS.net email account password? 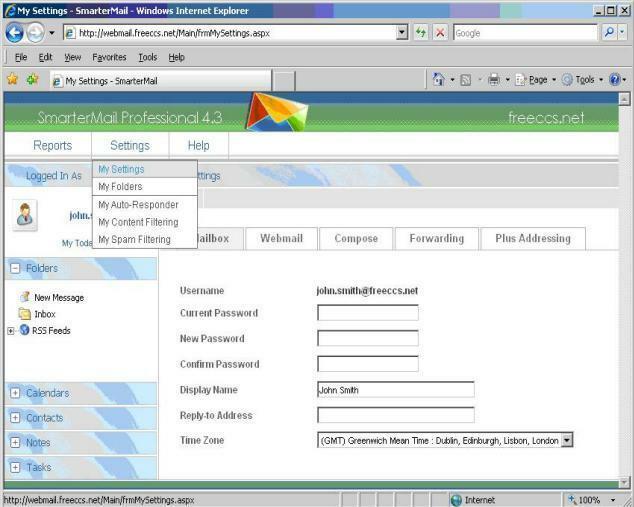 Log into your Webmail as normal at http://www.freeccs.net and choose "Settings" from the menu. Then select "My Settings" from the drop down and you will be presented with a box similar to the screen shot below. Here you can change your password. This password takes effect immediately and applies to both your Webmail account and also any Pop3 / Imap4 / Smtp services you use via Outlook / Eudora etc. If you have forgotten your password, please raise a support ticket from the main CCS Webpage http://www.ccsleeds.co.uk and we will reset it and send you a new one!